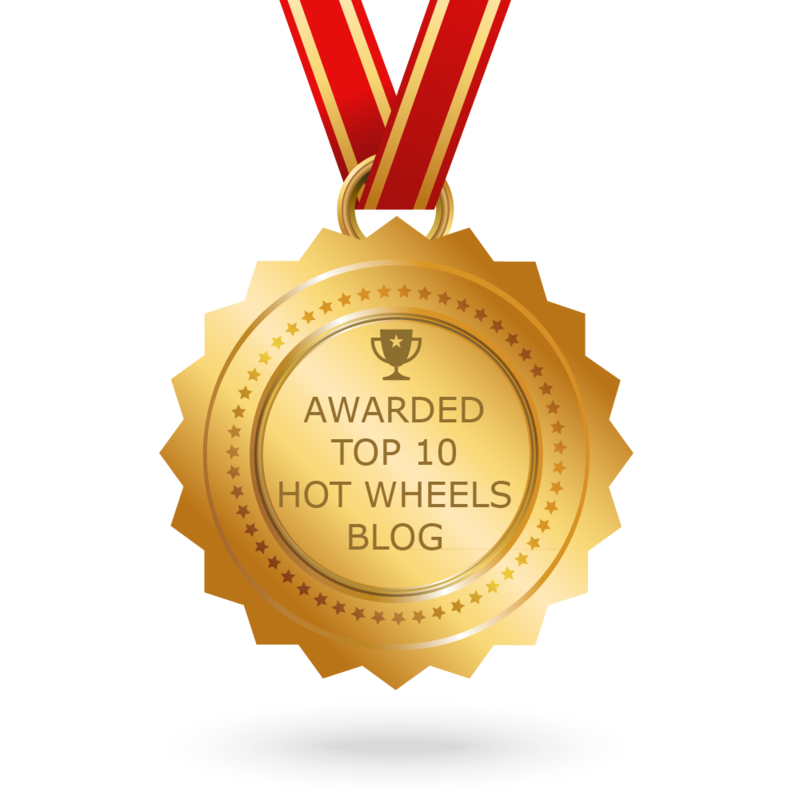 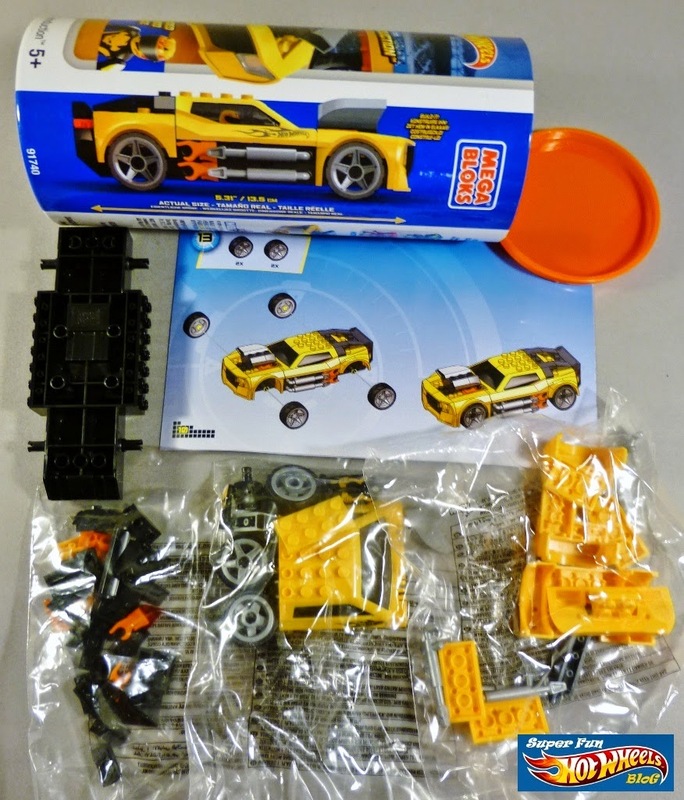 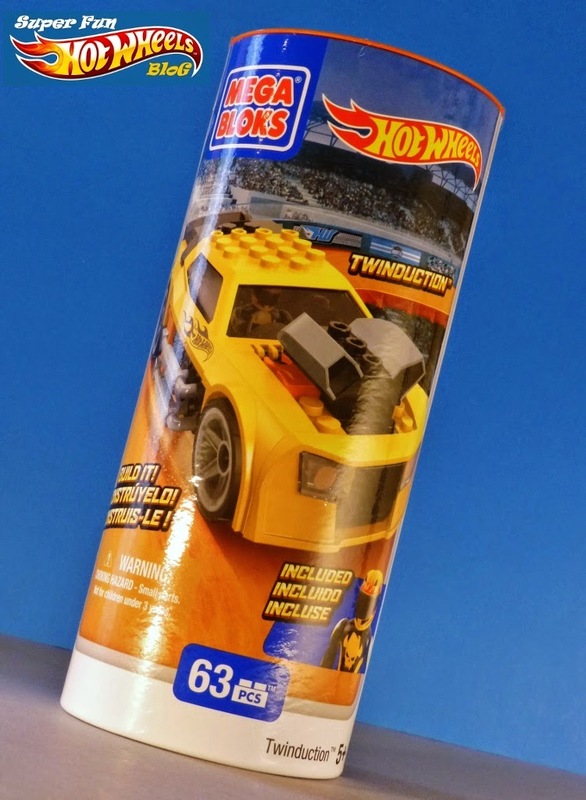 While I wasn't actually thrilled with the Mega Blocks Hot Wheels Ripcord Racers, it did expose me to some of the other HW/MB offerings that piqued my interest, namely these car canisters that can be assembled into popular Hot Wheels models. 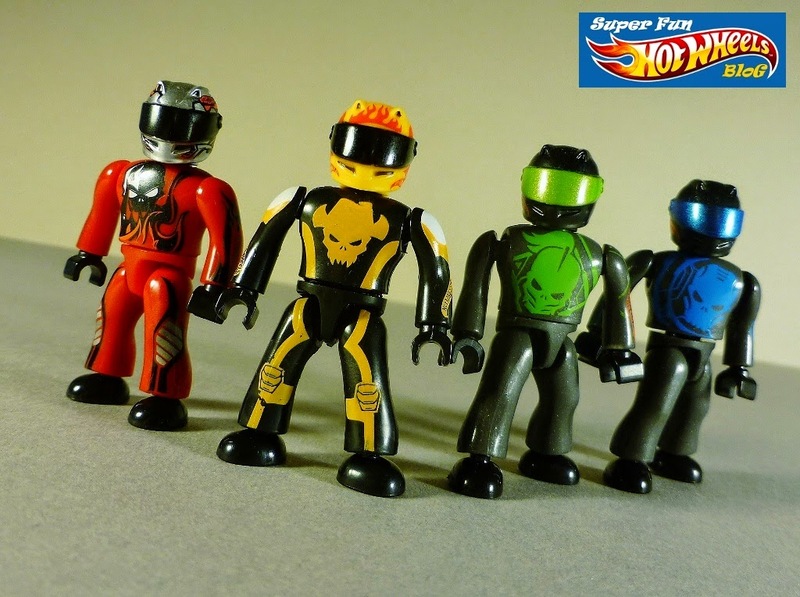 I'm not a huge Legos/Bloks fan, but these include a Mega Bloks mini racer figure, and are really cool! 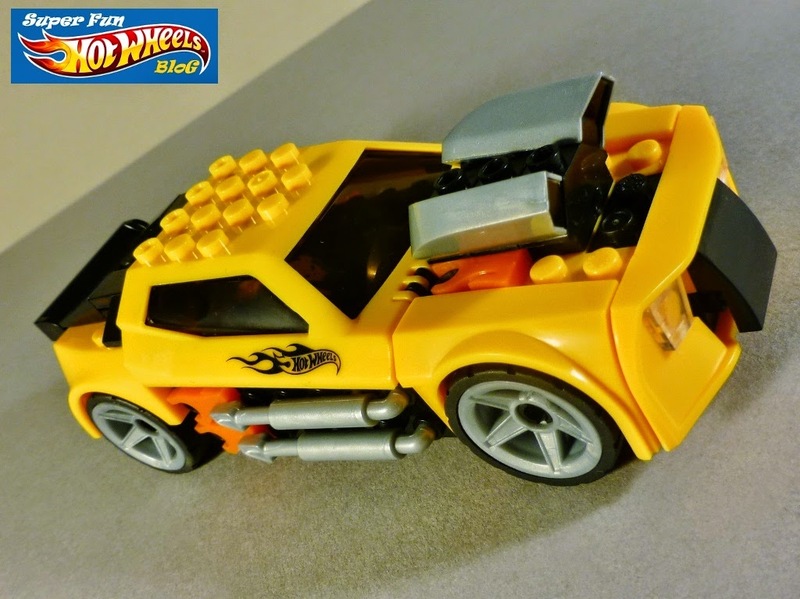 I'd like to tell you I threw the 63 pieces together in about five minutes, but I'll admit I had to stop and reassemble once before construction was complete, which produced this worthwhile Mega Bloks version of one of my favorite Hot Wheels cars, the Twinduction. 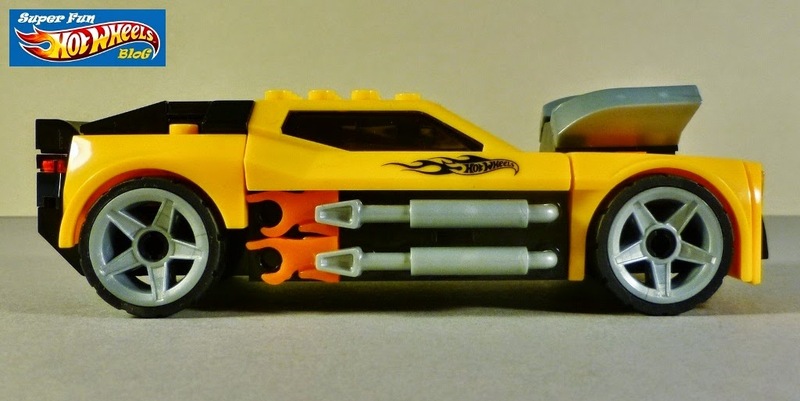 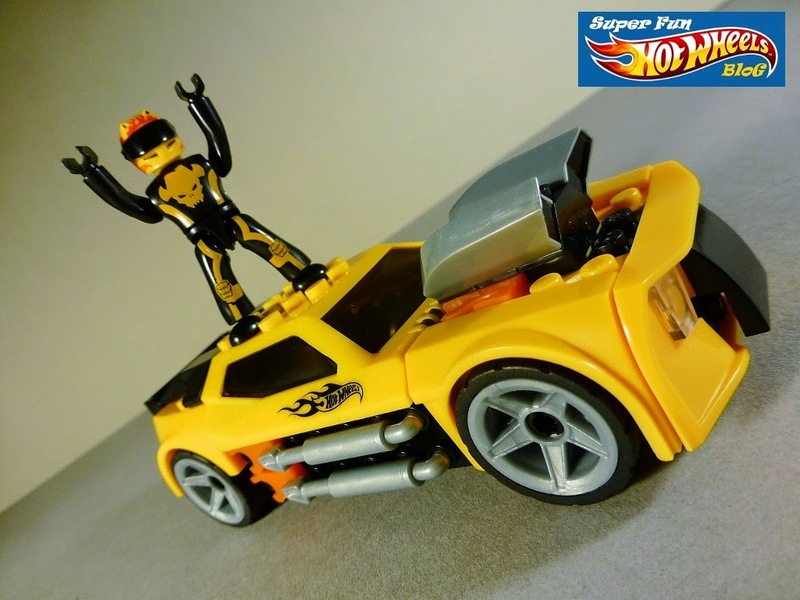 This car was also released in blue, and Hot Wheels/Mega Bloks fans can also get sets with the Bone Shaker, Twinduction, Roger Dodger, Bad To the Blade, and 24 Ours cars, among others.